As one of the UK's most prestigious locations for retirees, Elmbridge Village boasts a range of state-of-the-art facilities for high quality living. To keep residents, guests and other visitors safe, fire detection technology from Notifier by Honeywell has been specified in the newly developed Elmbridge Manor. 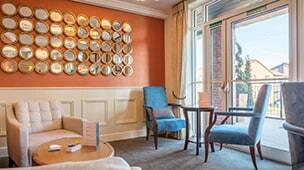 Situated on the leafy outskirts of Cranleigh in Surrey, Elmbridge Village is one of the largest private retirement communities in the country and consists of 236 cottages, bungalows and apartments set across 28 acres of landscaped grounds. 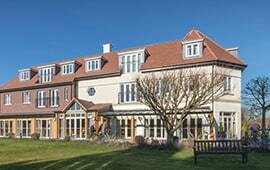 The latest addition to Elmbridge Village is Elmbridge Manor, which comprises 19 new apartments. In addition, it houses a main hall and green room, restaurant, private dining room and kitchen, bar and lounge, multi-purpose function room and further meeting rooms, a library, shop and surgery. Ensuring that residents are kept safe and secure at all times is a key requirement of the building infrastructure and Hampshire based Nexus Fire & Security was contracted to specify and install a suitable fire detection system. Type B dependency allows a zone to be defined for each individual room, as if it is a separate system. On receipt of an unconfirmed fire signal from a room, only the local alarm within the room is given. If the alarm is confirmed by a second signal the system proceeds to the relevant evacuation stage. A confirmation signal may be given by a second device in the same zone, a second signal from the same device, or a manual confirmation such as from a call point. If the confirmation signal is not given, the system may reset automatically without attendance by the warden or maintenance engineer. The fire detection system at Elmbridge Manor is configured around a Notifier Pearl intelligent addressable control panel. The advanced Pearl design offers best in class performance, scalability and functionality. The networkable fire detection control panel is available in one or two loop models and has been specifically created to be immune from the threat of unwanted alarms, even in challenging environments. Elmbridge Manor has proven so popular that construction is now underway on another new apartment block across the road called Arun House, which will incorporate a further 20 brand new apartments. Keith Henesey, Village Manager at Elmbridge Village, concludes, ‘We do all we can to ensure that residents enjoy their latter years in the most comfortable, stimulating and enjoyable surroundings possible. Safety is a vital part of this objective and I am delighted with the fire detection system, and will have no hesitation in installing Notifier equipment again in Arun House.